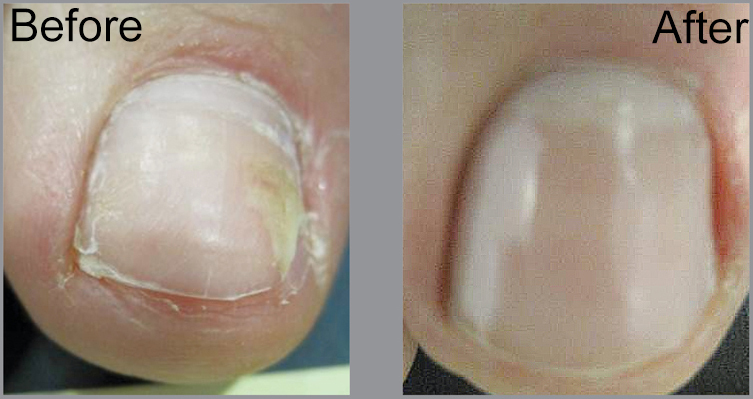 Eradicate Nail Fungus in 2 - 3 Treatments! No need to hide your toes! We have the latest technology for the nail fungus treatment. Nail infection is caused by contact with dermatophytes. Common sources of infection include swimming pools, public showers, gyms and nail spas. Tight fitting shoes and nail trauma can also lead to infection. Genetic susceptibility, poor health, and increasing age are also factors that increase the risk of nail infection. Laser therapy treatment for nail fungus is safe and effective!